(L to R) McNair Scholars Ryan Reynolds, Olivia Moses (top right) and Roberto Hernandez. WACO, Texas (Sept. 13, 2018) – Ryan Reynolds graduated from high school in 2005, at which time he was accepted into both the University of Oregon and University of San Francisco. “I was an emancipated minor, so I had no idea how I was going to pay for school or survive. Not only would I need loans, but I would also need to support myself in terms of living expenses and food,” Reynolds said. He decided to go to community college, which was still a struggle, and eventually joined the military. After being stationed at Fort Hood, Reynolds was encouraged by a friend to visit Baylor University. After meeting with individuals from the history department and the Veterans of Baylor student organization, he decided to come to Baylor. It was Reynolds’ involvement with Veterans of Baylor that gave him the chance to learn about the Baylor McNair Scholars program. The Veterans Lounge is located in the basement of the Sid Richardson Building and in the same space as the McNair offices, where he happened to have a deep conversation one day with the program’s coordinator. 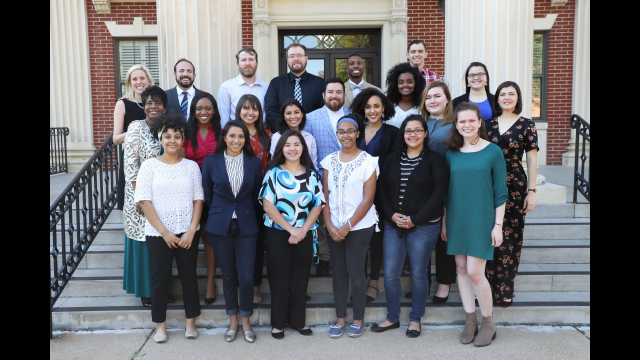 In 2017, Baylor was awarded an annual grant for five years to implement the McNair Scholars program, which prepares first-generation, low-income and/or underrepresented students to achieve their goal of attaining a doctoral degree. Among other benefits, the program provides students with faculty mentors, research and scholarly opportunities, free GRE prep and assistance with graduate school applications, professional and academic conferences and summer research internships with stipends. 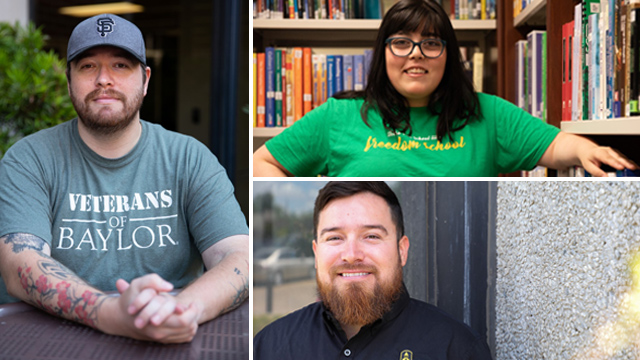 More than 150 other schools feature the program, funded by the Department of Education, providing Baylor McNair Scholars a broad network of nationwide resources and support. The McNair program honors Dr. Ronald McNair and was instituted by Congress after the NASA astronaut’s death in the 1986 Space Shuttle Challenger explosion. Students involved in the McNair Scholars program are incredibly high-caliber students and have conducted groundbreaking research over the summer, said Steven Fernandez, director of the McNair Scholars program at Baylor. Aside from mentorship, students also are highly involved with a professional development workshop series, which is managed through the McNair program, Fernandez said. 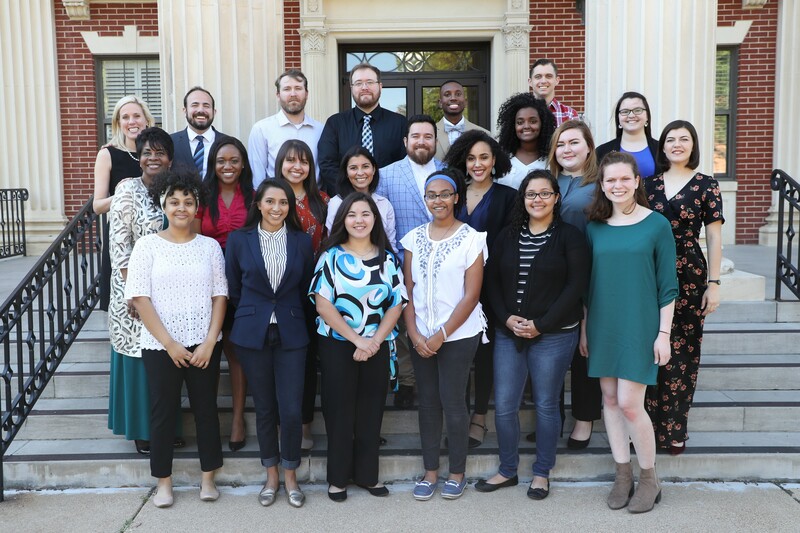 The inaugural class of Baylor McNair Scholars will present their research at the McNair Research Symposium from 4 to 6 p.m. Tuesday, Sept. 18, in the Beckham and White rooms at the Bill Daniel Student Center. The symposium also provides an opportunity for interested students to learn more about the program, Fernandez said. For his summer research, Reynolds decided to focus on the Philippine Insurrection, specifically American Pacification efforts, and how they served as a gateway into the 20th century militarism. As a veteran, Reynolds is naturally drawn to military history. Although Reynolds settled on a specific war, the possibilities are plentiful when it comes to deciding on a thesis. Reynolds’ research will continue past the parameters of his summer project. He hopes to publish his research and has plans to attend conferences throughout the fall semester to present his work. Additionally, his paper will serve as a writing sample for graduate school, where Reynolds hopes to continue studying military history. Reynolds is part of Baylor’s first cohort of McNair Scholars, and many, like him, are seniors. Current seniors are tasked with summer research, GRE preparation, applying to 10 graduate programs with at least five of those being doctoral programs and to potentially reach out to professors at those schools. Olivia Moses, senior elementary education major and McNair Scholar from Arlington, Texas, spent her summer working with children at the Children’s Defense Fund (CDF) Freedom School, a seven-week summer literacy enrichment program led by Lakia Scott, Ph.D., assistant professor of curriculum and instruction in Baylor’s School of Education. Scott also helped write the grant for Baylor’s McNair program, was part of the interview committee for leadership roles within McNair and has been designated as a McNair mentor. Moses has been working with Scott on her thesis since last fall. Both have similar interests and the opportunity to have Moses’ research take place at the Freedom School seemed fitting. “There has been a light that has come on with Olivia, and I think that this is synonymous with every McNair student’s experience, they envision a project and think it is a worthwhile endeavor. They actually begin working on it, and they realize it is so within their scope because they have all the tools they need to succeed in discovering or investigating that problem,” Scott said. Moses tested the media literacy skills of middle school students by engaging them in a series of activities surrounding “Megamind,” a computer-animated superhero film. Moses gained an interest in the subject after watching animated movies with her younger siblings. There was a larger age gap between herself and her brother, and she found herself wondering if he could pick up on the larger issues in the films. Moses found herself enjoying research this summer and looks forward to continuing on that path. “It’s exciting to think about cultivating new knowledge, especially because there isn’t a lot of media literacy literature on animated films and children’s pop culture,” Moses said. Moses was one of the final students to be accepted into the Baylor McNair Scholars program. She waited until she was sure that graduate school was the best path for her. With the McNair program, Moses finds herself looking at life differently. Internships are more than they were before, and anything can be a tool for the classroom. In addition to conducting faculty-mentored summer research on the Baylor campus, McNair Scholars are able to spend the summer at other universities. Diamond A. Dominguez, a senior biology major from Conroe, Texas, participated in an outside summer research program under a faculty mentor at Northwestern University in Evanston, Illinois, while Roberto F. Hernandez, a senior management information systems major from Pflugerville, Texas, spent 10 weeks of the summer at Michigan State University working on research for their Summer Research Opportunities Program, as part of an existing partnership with the Baylor McNair program. Hernandez focused his research on the effects of the Summer Business Institute, a week-long, live-in program to help freshmen transition into college. MSU is one of a number of universities that partner with the Baylor McNair program, providing students with an opportunity to participate in research opportunities off of the Baylor campus. Additionally, he wanted to research other factors that affect GPA, including the two most pressing factors, SAT and high school GPA. Hernandez made the decision to focus on research methods for the summer in anticipation of graduate school, where he plans to continue his research by exploring artificial intelligence. Since a young age, Hernandez has been fascinated by merging technology with humanity. Although it started as a childhood wish to be a cyborg, it has since grown into an understanding of how artificial intelligence can shape the business world. College was not originally in the books for Hernandez. Although he wanted to pursue higher education, circumstances led him to joining the Army instead. He served for 12 years, became a sergeant and was deployed three times before being injured. Being accepted to the Baylor McNair Scholars program gave Hernandez a boost of confidence and encouragement to pursue more education.